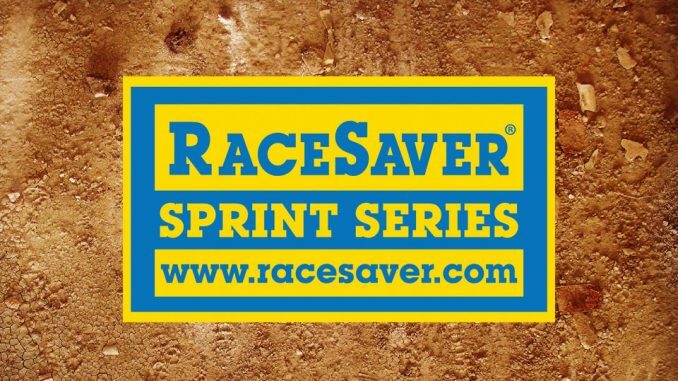 LAS VEGAS, Nev. – IMCA RaceSaver Sprint Cars converge at the Dirt Track at Las Vegas Motor Speedway on Thursday, Sept. 13 during NASCAR’s Fall South Point 400 Weekend. 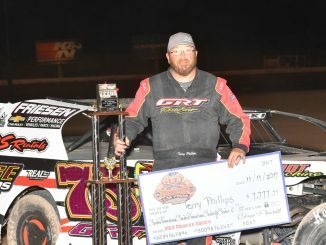 The Clash On The Clay date on the fast half-mile pays $1,500 to win and $300 to start, with IMCA Speedway Motors Weekly Racing National points awarded as well. Pit gates will open at noon and practice sessions are scheduled for 6 p.m. and 9 p.m. on Wednesday, Sept. 12. On race day, pit gates open at 9:45 a.m. and tech starts at 10:30 a.m. 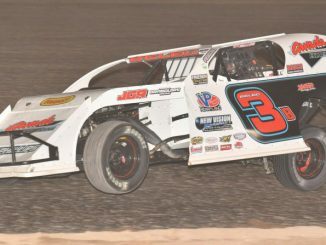 Hot laps are at 2;10 p.m., the drivers’ meeting is at 3:30 p.m. and racing starts at approximately 3:45 p.m.
Monster Energy NASCAR Cup Series drivers Kevin Harvick and Clint Bowyer will be featured guests at a Sept. 13 autograph session that evening. 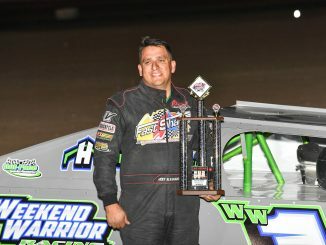 They’ll be joined by a number of other popular drivers from NASCAR’s top three series at the autograph session, which will run from 6-7 p.m. Pacific Standard Time inside the Dirt Track ticket gates.